All praise to [Limor] for uncovering this incredibly odd project. [magician]’s perceptual chronograph is designed to test whether time “slows down” in stressful situations. 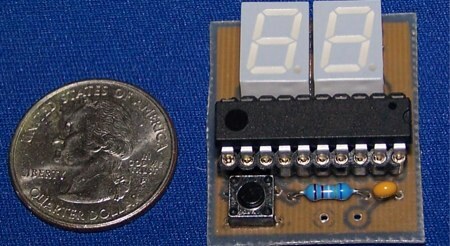 The device flashes a random number on the display very quickly so that it is impossible to perceive what is actually being displayed. If you can read the number while under stress, it means that your ability perceive time has increased. It’s hard to believe, but check out the video embedded after the break that investigates the phenomenon. We can’t help, but wonder how [magician] personally plans on testing this.